This happened on the 9th of February, the day before I saw snow for the very first time in Berlin. I was hanging out with the Singaporean filmmaker Michael Kam. We were walking around at the main area of the Berlin Film Fest, Michael wanted to buy some souvenirs. But as we walked towards the Berlin Palast, I noticed a very familiar face. I approached him immediately and spoke to him. "I like your works!" I gushed like a fanboy. "I've seen THE BEAST STALKER, I really loved it!" I sounded even more fanboyish. "Oh! This is the director of the film." 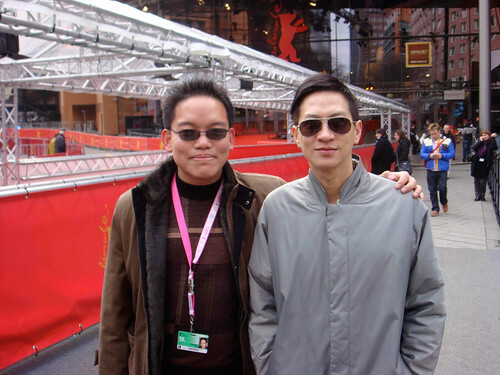 Nick Cheung gestured to a man beside him. He was Dante Lam, the director of THE BEAST STALKER, and also numerous other really great crime films, like the award-winning BEAST COPS (1998), cult classic JIANG HU - THE TRIAD ZONE (2000), which I declared last October as one of Tony Leung Ka-Fai's top five film roles, the underrated HIT TEAM (2001), I even like many moments of the little-seen human-ghost romance TIRAMISU (2002) starring Nicholas Tse and Karena Lam. 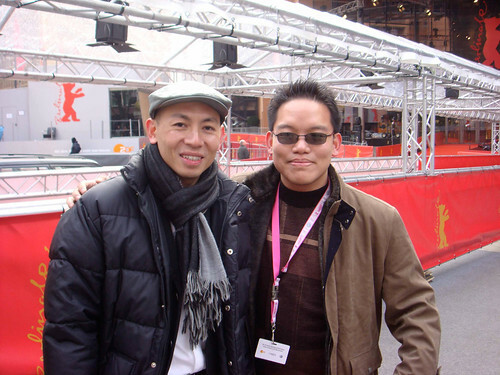 Of course, I also introduced myself to Nick Cheung and Dante Lam, telling them that I'm a budding filmmaker and producer from Malaysia just chillin' at the Berlinale Talent Campus, and then introducing the non-Cantonese speaking Michael to them as a Singaporean filmmaker. I asked to take a photo with Nick Cheung, I didn't have a camera with me, but Michael had one, so he took the photo for me. After that, I wanted to take a photo with Dante Lam too, so Michael complied. Nick Cheung was awesome and he started to take out his own camera to snap photos of us. 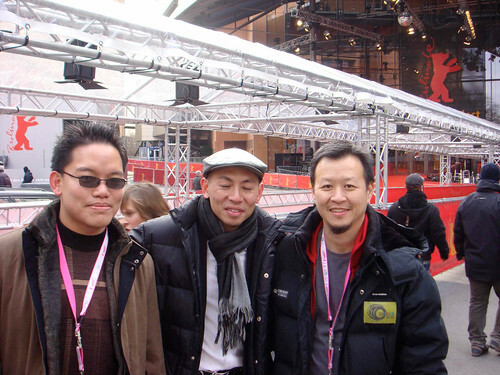 After that, Nick Cheung took the camera from Michael and offered to help take a photo of both of us with Dante Lam. We were happy, and then we parted. As we walked off, Michael would realize that he himself forgot to take a photo with Nick Cheung. And another few days later, he would find out that Dante Lam actually blinked in the one and only photo he took with him. Nick Cheung is my pick for Best Actor for the Hong Kong Film Awards!